Immunotherapy has been a life-saving intervention for an array of diseases, particularly cancer. However, the treatments are not suited for every patient and can lead to serious side effects and even death. Understanding which patients would be best served by immunotherapy treatments is quickly becoming an essential factor in designing treatment strategies. As such, investigators at the Princess Margaret Cancer Centre in Toronto have discovered a gene signature biomarker that may predict which patients will respond—or not—to cancer immunotherapy. “The extracellular matrix (ECM) gene signature associated with response to immune therapy is important because as of today we do not have a very good way to predict which patient will respond or which patient will not respond,” explains senior study investigator Daniel De Carvalho, Ph.D., senior scientist at Princess Margaret Cancer Centre. De Carvalho says the gene signature relates to the ECM, which underpins and physically supports cells. 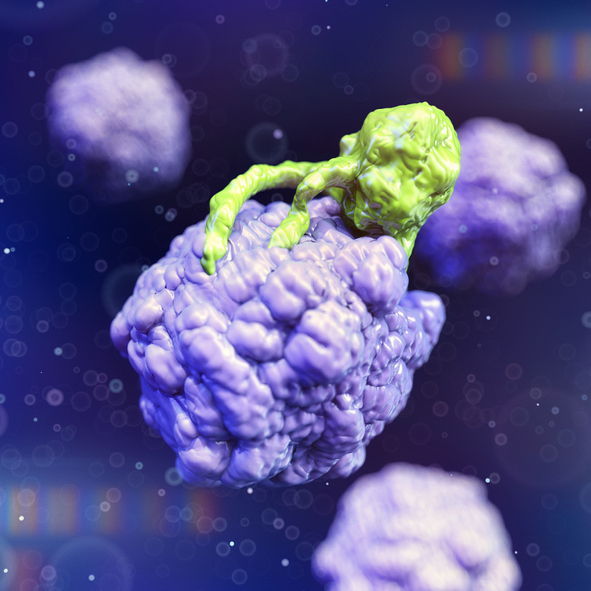 For cancer patients with the gene signature, the research suggests the ECM can stiffen around the diseased cells to form a barrier that immune cells simply cannot penetrate. With further experimental study to validate the biomarker, De Carvalho says the research lays the foundation for a new therapeutic strategy to focus first on ways to disable the ECM to enable immunotherapy. “Our findings identify a distinct transcriptional pattern of ECM genes in operation across cancers that may be potentially targeted, pending preclinical validation, using the TGF-β blockade to enhance responses to the immune-checkpoint blockade,” the authors penned.